When news broke that the United States will withdraw aid from Cameroon due to alleged human rights violations, members of Cameroon secessionist movement who are fighting for the establishment of an independent nation for the country’s English-speaking regions, took to social media to celebrate what they say is a big win for them. In tweets and posts, the activists and advocates for the independence of former British trust territory of Southern Cameroons which elected to joined French Cameroon in 1961, say the sanction on Cameroon is a clear indication that the international community is cognizant of their plight and all what’s taking place in Cameroon. 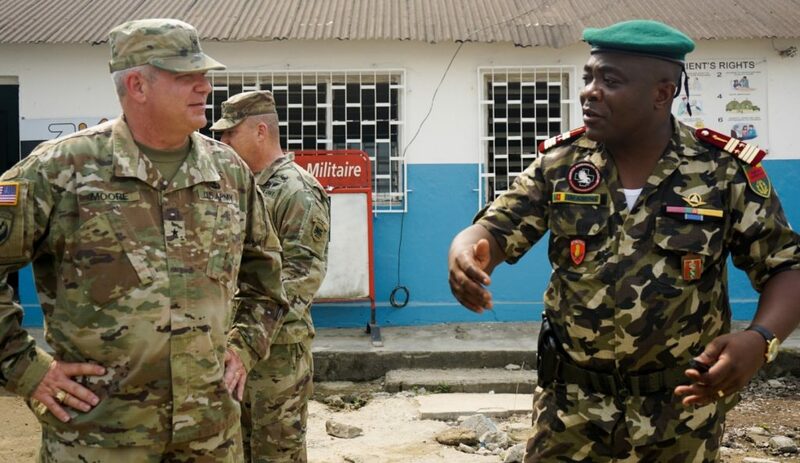 The sanction, commentators hold, will greatly affect the military capabilities of Cameroon as its security forces fight to restore peace in the Anglophone regions and are, at the same time fighting ISIS West Africa, Boko Haram, and other terrorist groups while trying to maintain peace and order in its French-speaking regions after bloody protest erupted last week. On Wednesday, February 6, 2019, CNN reported that “the US government has decided to cut millions in security and military aid to Cameroon amid growing concerns over the Cameroonian government’s human rights record. US officials tell CNN. The officials said the US intends to “terminate” over $17 million in security aid, including funds for radars, four defender-class patrol boats, nine armored vehicles, training programs for C-130 airplanes and helicopters and the withdrawal of an offer for Cameroon to be a candidate for the State Partnership Program. To Eric Tataw Tano, journalist turn activist, the “US Congress decision to cut off aid to Cameroon is thanks to…Cameroon American Society, Southern Cameroons Interim government, Barrister Agbor Balla” among others. Celebrating that it was thanks to their efforts that US Congress took the move, he cited several presentations, meetings, and proposals they made with congressmen and senators. I just want to mention I am just new to blogging and certainly enjoyed you’re web-site. Very likely I’m planning to bookmark your blog . You absolutely come with good stories. Regards for revealing your web page. Aw, this was a very good post. Spending some time and actual effort to make a superb article… but what can I say… I hesitate a whole lot and never manage to get anything done. dblbbs,Your blog was informative and valuable to me. Thanks for sharing. Very good information. Lucky me I ran across your website by accident (stumbleupon). I have book-marked it for later! I’m trying to find out what one of the most prominent blogs are when it concerns news and also views and cellular phone things. bqwdswtwc Yeezy Boost,Waw! Its really great and wonderful ever i found. Thank you for sharing this info.